BMSi | ONCOCHART » What Will I Learn? 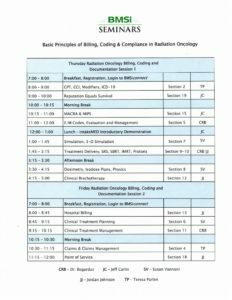 BMSi Seminars are engaging and interactive, day-and-a-half courses, that cover the latest Medicare rulings and CPT codes. Live demonstrations of proper code application, and professional, technical and global billing situations are also covered during the interactive sessions. 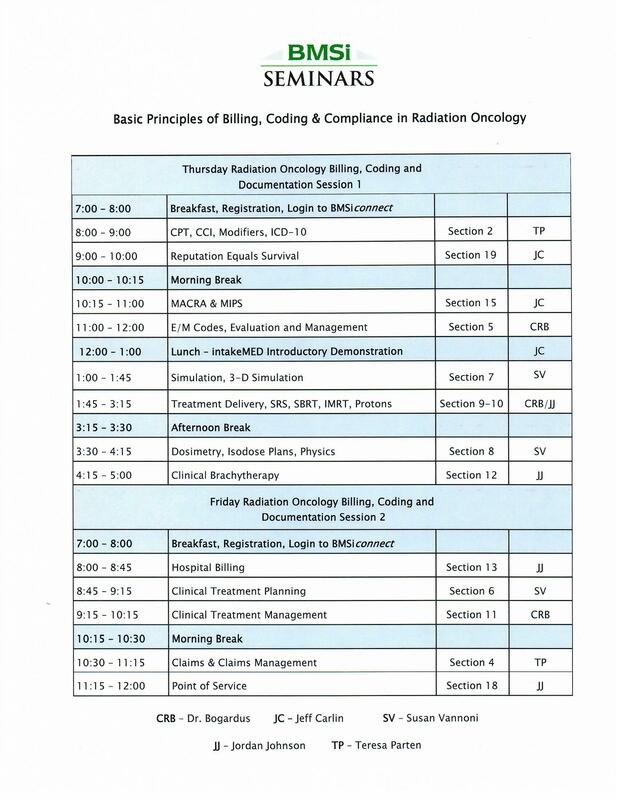 Throughout the session, we will be answering participants’ questions related to radiation oncology billing and coding issues, dilemmas with their local insurance carriers and Medicare and other associated topics. The participants will have an opportunity to discuss their own clinical examples of these procedures and how they relate to their individual practices. Audience participation is encouraged and time will be devoted in each session for questions. Recognize the vital importance of compliance with all existing rules and regulations of Medicare and other insurance carriers. Properly and accurately document all performed procedures. Identify and employ effective charge capture and billing. *Actual subject matter may vary from seminar to seminar.